they are so cute and adorable. I love to see little children’s postcard. I have postcards of little girls dressed as hula dancers. Anyone wants to have collect, don’t hesitate to let me know. I will be going to Luang Prabang in November. Do you know if there are any shops for stamp collectors? 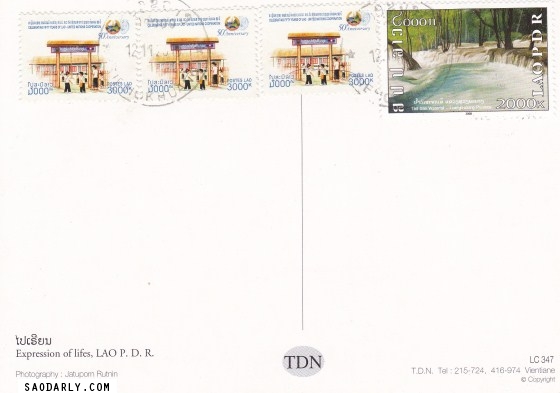 Also, what is the Luang Prabang post office like? Do they have a good supply of stamps.